A few weeks ago, I listed 10 different ideas that I had for a second niche site project. After reading through that list again, I realized that many of them were essentially the same, with just small variances. So, today, I've narrowed down that list to just 3 different types of projects that I would be willing to work on. Out of these 3 results, I would like your feedback to help me know which one is most interesting to YOU! Build a Niche Site and reveal everything (just like the original Niche Site Project). Teach a student to build a niche site – and document their progress. Build a Niche Site, but don't reveal the domain until its ranking near the top of Google. I feel like I need to explain in detail what these three options are all about. This is exactly what I did for my first Niche Site Project. This is just ANY type of affiliate site (Amazon, Adsense, Clickbank, CPA,…you name it). In addition, I call it a “niche” site simply because its one that is focused on one specific topic. It could grow to a much larger site if it totally catches fire, but I would expect the site to be about like my BestSurvivalKnifeGuide.com site. For the most part, this site would be outsourced as far as content and link building. I would personally put in all the initial effort to research the proper keywords and to develop an overall content strategy. Like the Niche Site Project 1, I may write some of the content, but most of it I would expect to outsource to quality freelance authors. This choice could include MANY different options for the type of site I would build. I could build an Amazon Associates site that targets a high end product, or I could find an affiliate product on Clickbank or elsewhere that I promote. I could promote CPA offers or some other independent offer I find. How I monetize the site will all depend on the keyword/niche I decide to tackle. So, don't just think of this as a replica of my BestSurvivalKnifeGuide.com project, this new project could turn out very different and make money in a completely new way. The second option, is to pick one of my readers, and teach them how to build a niche site. I would do one-on-one coaching, and likely record those Skype sessions for everyone else to listen in. Then I would allow the “student” to go through the entire site building process on their own, with my coaching. I would of course be there to answer questions along the way. Then I would also share the domain, keywords, and everything so that readers on the blog can follow along as well. The draw of this option is that it would allow a perspective from someone that is “new” to building niche sites. This student may ask questions that I may not have thought about on my own, that could potentially by useful to you. In addition, it would also show that some of the methods I used are able to be replicated by others. The potential downside to this option is simply that the project may not go as planned. Because someone besides me would be involved, there is no way I can guarantee that they would follow through with the project. I would fully expect that with my coaching and motivation, that they would pull through. But its very possible that they would decide to quit the project, and there's not much I could do about that. This would be exactly like Option 1; however, I would not reveal the domain until it was already ranking in Google. Because I can't predict how long it would take to rank in Google or start making money, I would expect that it would be at least a few months before I revealed the keyword/domain for this project. I had a lot of people comment on my previous project wondering if I would have ever ranked in Google if I hadn't revealed my domain. I can say over and over again, that I have ranked sites in Google many times using the exact techniques that I shared…it doesn't matter. The truth is that I did have my site targeted for negative SEO purposes (as shown here) during my last project, and this likely could have been avoided if I hadn't revealed the domain. In addition, it would prevent all the copy cats from building my exact same site (at least for a few months). So, I do actually see a lot of advantages to completing the project in “private”. However, I WOULD eventually reveal the domain and keyword, so that everyone could check out the site and see what I did. The downsides to this option are obvious. Because you wouldn't see the keyword and domain from the beginning, you wouldn't have a concrete example to look at right away. I wouldn't be able to make as many instructional videos and tutorials, because I wouldn't be able to share my website…at least not until later. But deciding whether the pros or cons are more important…is up to you! Vote for Your Favorite Option! Now that I've explained the 3 options for Niche Site Project 2, its your turn to vote for your favorite! 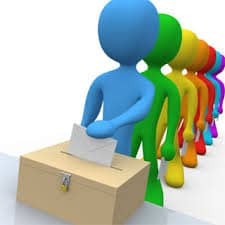 You only get one vote, so make it count! I will be closing this poll on July 22nd, so please vote now. Once all the votes are in, I'll announce the winning idea and start the project shortly thereafter. I look forward to your feedback, and am excited to begin the next niche site project! 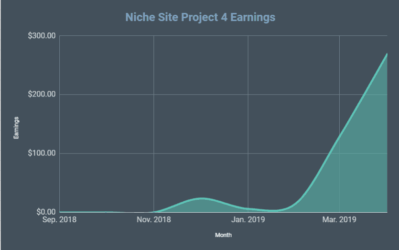 Get Ready for Niche Site Project 4! I voted for option 1. It is always good to be able to follow along. looking forward to your second project! I like the option #1 too, but maybe Spencer could do something different than Amazon this time. Or use the idea of selling high ticket items like discussed in another post before. Just to make the new site a little different than the previous. I also have the same as yours first, However The option 3 seems more suitable as there should be many copy cat for this new project that similar to the first. Totally for Teach a Student! I would glued to that! It is one thing to see an expert like you build a niche site – it is another thing completely to see a relative newbie do it! How can I apply to be your student?! Love this! I agree with Kyle 100%. As you said in your post, this would be a good way to cover things that you may not have thought of, and also it would be good encouragement to all your readers that even someone new to the field could do this stuff. I’m with option 2 all the way! In fact, I’ve got the perfect student for you! I voted for 2. However they are all great options soo I am definitely looking forward to this! You can still share everything while assisting your student. I think option two will have many of your readers relate even more and experience the challenge as their own, given the fact the person you are mentoring is a “noob” as well. You can still ask some questions about the candidates and decide based on that what their motivation looks like. Option 2 sounds awesome. Like you said, they may ask questions you hadn’t thought of, or put a somewhat “newbie” spin on things. I’m not sure of the best way to set up an application process to ensure that everyone follows through, but if you can square it away, I think this would be an awesome way to do it. Option #2 definitely. I don’t think I’ve seen anyone else do something quite like it. my vote goes for option 2……….teach a student! If the process really is a process then the skills should be able to be taught to a relative newbie and the subsequent site should make money. To me that’s the ultimate test since thats why we are all here! Option 3. I am very interested to see how the “celebrity status” of doing something publicly affected the last one, positively or negatively! These 3 ideas sound pretty much the same to me. Niche site. Maybe you should go with something bigger. Build an authority site in a broad (or broader) niche. Not focusing on a single keyword but focusing on an entire niche or sub niche. Spencer, I remember I read somewhere that knowing how to do it is one thing, but teaching it can only be done when you master it. I strongly believe that you are a constantly learning master and taking the chance to teach to one student definitely sharp your profile as a great master. I voted option 2! There will be many applicants, what is your criteria for choosing him/her? If option 2 wins out, I’ll decide what the criteria will be at that point. However, it will be open to anyone…and there would have to be some sort of application process. Yeah you would definitely have to have a process of sorts. I wonder what the criteria will be if they chose it. I don’t think option #2 has been done before. We have all watched as you, Pat Flynn, and several others have built niche sites and documented each step. However, teaching a newbie to do the same, and documenting the “coaching” would be unique and highly interesting! I think people are choosing nr. 2 because they want to be your student lol. I chose nr. 1 because I would like to see how would you go with other types of monetisation (consistent with what I voted on the last post) but nr. 2 would be really cool too! I think the only one that is not cool is nr. 3 because if it is going to be public, than you should have it fully public even with the morons that will lurk for an easy profit. Hmmmm……all 3 are great ideas, I would say that option #2 is the most intriguing, simply because it would be something different. Not sure if anyone would agree to this, but what if you did option #2 and had this person put down a deposit of some type to help ensure their commitment? If they follow through on the deliverables that you’ve set, they get their money back….if not, then it’s not a complete waste of your time……. The deposit is not a bad idea. I think $500 is the sweet spot. I am currently interning for Hayden right now and part of the application process was a refundable deposit of $500. This way you sort out the people trying to pick up a free ride and really see who is devoted. Also, as the student, you feel like you have invested a good chunk of change and let me tell you, you work way harder because of it! You also feel exclusive and invested. Email me if you’d like to go over some details or ideas! I like the option 3! 2nd option is appealing – you always learn more by teaching others. I think by teaching someone you both would benefit, along with the rest of the audience. But you might consider, if you are concerned about the student not finishing, doing option 3 at the same time as your backup plan. I vote for #2 – teaching a student to build the campaign, as long as the student is new or relatively new to building websites…I don’t want to see a “ringer” as a student – one who already has made money building websites. Would love to see your new project, whatever it will be. I would find it very interesting to see you build a niche site with a clickbank product or CPA offer. We have seen adsense and amazone before. One thing you could do in order to ensure the student follows through is require a $500 application fee. Once the niche site process is complete you would refund the money. This would make so only serious people applied and followed through. I vote for option 2. It’ll be a totally new, completely cool, never-seen-before ‘experience’ for all. Voted Option 2. I like the opportunity to follow along with each step. But in this model we get all of your great insight along with the questions and experience from another person too. Sounds like twice the learning opportunity. Thanks for considering our opinions. This should be another epic training guide. I’m new to all this and would just like to say thanks for helping me learn. Hopefully I can make coin someday. I voted #2. And I for one wouldn’t mind putting down a deposit like Jeff Coleman mentioned. Looking forward to your project. Goodluck. I voted for option 2. Teaching a student is a novel approach that will demonstrate that your valuable niche building skills can truly transfer to others…when applied of course. Teach a student – great idea! There’s only one way to make it even better… if I was the student! Where do I apply?!? And I agree with the previous mentions of requiring a deposit for applicants to demonstrate a level of seriousness. I like option 2. That way probably more insight may be gained since students will almost always have questions others want to ask or haven’t even thought about. I’d like to apply to be a student. Is that possible if option 2 is chosen? Yes, if option 2 wins out – you and anyone will be able to apply. I like the idea of #2… it would be fun to see a beginner start from scratch! Any of the choices would be very helpful and appreciated! I went with # 1 because the first one was so helpful. Repeating the process with a different site would help to cement the entire process for me. BTW… Thank you for being who you are and dedicated to helping others. I can’t tell you how many times I start to follow someone that seems to help and then they perhaps partner with some other guru and the sales machine kicks in…WHEW! I am also an Option 2 and not so as you pick me. I just believe that it would give the utmost encouragement to the many people who would then see that this is actually possible. Great ideas – thanks Spencer! No. 2 would provide value and be something we haven’t seen before. However, I’d be concerned that the success of the project would depend upon the commitment of the student, so perhaps a back up plan may be in order or perhaps a few students / sites to track? I started reading the comments to find out whether someone else has already suggested the idea of having multiple students. My first thought after reading your options was having multiple students. It will be great idea because, as you said, it will reduce the risk of dependency. Also, it will be helpful for many people who are interested. How about having training and documentaion through Webinars, shared Google docs, some online project management tools like freedcamp etc.? I’m a frequent follower of your blog. Even though I have developed many website as a developer, I am newbie in developing a successful niche website. So, I’m also interested to become your student. Teaching a student would be great! Especially if that student were me :). I like option 2, simply because options 2 and 3 seem to be basically the same thing as LongTail Classroom. 1 and 3, I meant. I voted for 2. I would like to see if it will work with newbies like me. The main reason is that I have sites in RU-net and now I am going to try myself in creating Amazon affiliate site. Thank you for the things you do for the sake of free webmasters. Option 1and 3 have been tried and tested. Option 2 is a breath of fresh air…I would love a situation where the focus is outside the US. Meaning the student you select will choose will pick a country tld and not a .com…in that way you explore opportunities in a country outside the US. I think option #3 is the only real option. To provide the most value, I’m afraid you gotta keep it hush-hush for at least the first 90 days or more. Having said that, I think it would be really awesome if you did option #2 (with a student) and saved all the videos/posts/results and only start releasing/publishing them 3-4 months down the road (not all at once, and not revealing any spoilers either). And now that I’ve said all that stuff that makes a lot of sense, I also have to admit that it was kinda fun for your readers when people tried to screw you. Everybody was all investigating the copycats and the dirty links and commenting all over your posts and trying to come to your rescue haha! Personally, I don’t want to see you — or your student — lose money or become discouraged, so I would keep it quiet for awhile. What if you go and buy a high PR site that’s penalized by Penguin and/or Panda, and then document the process of cleaning it up and getting it ranking again? I bet there are lots of readers in that boat who would love to see how to revive a penalized site. Option #3 would still be FULLY PUBLIC and provide all the value that Option #1 would provide…it just wouldn’t be in real time. I voted for option #1. That way it’s more controlled. Would like to see you go through the same steps again and see if you could come out with the same progress. Trying to teach a student and work with their progress, don’t know what kind of follow-through you’re going to get. Also, a student could get bored with it quickly or may not want to reveal the same things you’d be willing to reveal yourself. Hey Spencer I’d love to see to you take a student and have them build out a site. I understand it is a little risky finding someone to complete the project, but who in their right mind wouldn’t take your coaching and all your knowledge and run with it! Thanks for all the information you share with us! 3. I make money because I avoid the hard keywords. Its all about the niche/low competition keywords. I have no desire to tackle huge keywords – there is no need. I went with #2. I think that compliments nicely with what you have done with the long tail classroom and public niche site. We’ve seen how the expert does things, now would be a chance to see how more of a beginner does and how you would coach him through the process. I think option 2 is the best, because you’ll get the questions you might not have thought of. Maybe something that seems trivial to you. There is one caveat though. How much money does the student have to be willing to put in? Not many start up IMs have 700 or 800 lying around ready to sink into a niche site, like you did with NSP1. If they write all their own content, they could get started for much less. Yep, I definitely rinse and repeat exactly what I showed with my survival knife site. I would really enjoy watching you teach your methods to someone else. It would be great if that “other person” was ME, but even if it wasn’t I could follow along as if it was. Looking at the current voting stats, I think others feel similarly. 1) I can relate to a student perspective – because I am one. 3) Maybe the student can be ME. Hey Spencer, if you select option #2, why not increase the odds for success for the student by doing a group coaching with perhaps 10 students at the same time. Whatever your choice, I’m looking forward to your “top-of-the-line” training. Thanks for all you do. Looks like option 2 is popular, but I chose option 1. The first niche site articles motivated me to take action. I picked a keyword and went after it. I’m now #2 for that KW and making over $1 a day in just a couple of months. I now have several other sites that I’m trying to rank and repeat. Whichever option you choose I’m looking forward to the content. Good Luck. I don’t get the obsession with option 2. Your case studies ARE teaching students. What are you going to tell a student individually that you haven’t told everyone here publicly in your last case study? Option 2 will be a disaster, because I guarantee you the person won’t follow through with it. That’s why they haven’t already built a site following your last case study. Spencer, if I may offer a suggestion. I think the best way to help people “get it” as you said (and I say “help,” because ultimately they have to be the ones to make the decision to take the plunge, and there’s only so much you or anyone else can do) would be to create a similar project to your last one, but do it in far more detail. While the survival knife guide was excellent, there were a few important things missing. For instance, you paid $200+ for link building – something that the vast majority of your readers (the beginners) are probably not going to do. And since the link building process seems to be the biggest hurdle most are facing (at least based on what I’m reading in the comments on your site), it would be far more helpful and informative if you would MANUALLY do all the link building yourself, following the methods that you teach on your site. I’m sure many people need to see it (the link building) actually getting DONE, rather than just reading a list of the links that have been acquired. It seems people just don’t what the content should look like though. Doing my own keyword research I ran into sooo many different websites that were obviously build by someone following your Survival Knife project; same comparison table, same layout, same everything. But when I started reading the content, it was literally HORRIBLE. Yes, it was well written (as in no typos etc. ), but it was not informative in the slightest. I’ve probably seen 50+ such sites in the last few weeks and there were maybe 1 or 2 which had content that I would consider was similar to your own Survival Knife site. The rest were pure zero in terms of quality. 1) many of your readers don’t really know what the link building process actually looks like. They know what TYPES of links to build, but they need to see the process “from behind your shoulder” so to speak. 2) many of your readers have absolutely no clue what quality, informative content is. It would therefor be very helpful if the subject of content creation, on-site optimization etc. was delved with far more focus and attention to detail. I believe THESE are the things that would actually help your readers “get it,” and not having a student follow along. Especially since you’re likely going to get dozens of interested participants, and you will end up choosing the one who is most appropriate for the task (to make sure the project has the highest chance of succeeding and that the student will follow through), which means that there will already be some bias involved, since the majority of readers will probably not be as capable as said chosen student to begin with. Just putting it out there Spencer. While I do see how the “teacher student” option can seem attractive to a beginner (I was certain that it would get the most votes), I think it’s just an illusion, for the most part. Excellent advice, Mark…I will certainly consider this as I move forward. I agree with your points; so its a good reminder of how I can direct my attention. Thanks! Hey Spencer, I voted for option #3. You can always record all the steps you do and post them as videos or podcasts after you have ranked in Google and discovered the domain name and keyword. I voted for Option 3 because let’s face it, if people can’t learn this stuff from the first NSP they’re never going to get it. Not to sound negative but unless you actually DO work and STOP watching videos and reading blogs you’re never going to “get it”. You learn by trial and error. It took me a couple of years to just finally do this. There is so much information out there on how to make a living online but earning income takes work. Not reading or listening. As for Option 3, I’d like to see you do your thing, rank it and then reveal the steps afterwards. Like you said, it guarantees that copycats can’t outdo you and unfortunately there will be those. As for everybody else, use the time to go back to Spencer’s first NSP and learn. THAT IS THE WAY THIS IS DONE. That is the basic formula. And again unless you’re actually working you’re not making $$. Yeah, number 3 sounds good. Spencer could record videos from the entire process and only reveal them once the site ranks. As many others, I go for option 2. May I suggest that the “student” attending the process also shares his/her experiences. It would be nice to hear from both perspectives (teacher and student) and see how actually a relatively newbie can achieve it! Yeah, I like that. For every post Spencer writes, there could be a post that the student writes from her perspective. Great idea! Learning French using the Michel Thomas method was far more effective for me than when I tried to learn it the old fashioned way at school. The concept is this: Michel teaches two students and we listen in (on the CD). It was very effective for me, and helped me to retain more. So I think that “listening in” on Spencer teaching a student would be an effective method too. Option number two sounds like it is a good choice. #2, so we can see what someone like us would do, ask. I think a group of 3-5 it’s good, and they can pay a deposit for the coaching – to show commitment. Whichever you choose, maybe you could wait until Google Keyword Tool goes away. The process of using the google keyword tool vs. the new keyword planner will essentially be the same – its the same data; so I see no point in waiting. Because I think Spencer can provide information and statistics on the mystery website until is ready for him to reveal it. Alternatively Spenser can appoint a Auditor which will provide updates . I vote for Option 2. I want to be the student. I’d like to give the site away to one of your followers when we’re done building it and have ranked it. I like 3! So everybody can learn from it! And I like the air of mystery. I’m also okay with 1 though. I would totally dig watching, even being, a student. I understand the unpredictability of it and there’s the added work of vetting potential students to ensure that there is follow through, but what a great way for people working on learning this skill to see how it would look if it were done by themselves. We gain a ton from watching experts like you do it, and following in your footsteps; but as a teacher and coach I can vouch for how effective guided learning is. It can be messier some times, but I think you would find it rewarding too. Option 2 is really good! IF you let your students take intiative and make mistakes as well, it should not be you directing the strategy and him doing the job. It should be you guiding him and explaining his mistakes publicly and why you re-oriented him for each step of the project. Eventually, you could even have 2 niche site at a time, with and without mistakes, to see if a so-so performance would still do it, as i’m sure many beginner actually do not follow all your steps and just try to make something close. I just voted for option 1, but in order to learn more, I would suggest you to go with a non-product oriented niche as I want to learn different things from you. I voted for option #2. My thinking is that this would give you an extra challenge that we haven’t seen anyone else do (as far as I know). Also, given that I am pretty new to this, I would love to follow along with someone else in the same boat. Regardless of the options I will be following along. I just created my first amazon niche site following you and cloudlivingjourny niche models. You can click my name to follow my progress! I’m voting for option 1 but just make the domain name hidden, I would opt for 3, but the conditions there is not gonna benefit your loyal audience as much. Option 2 may not be pretty realistic just imagine 100-200 of use here being involved, how productively can you manage us all? I voted for number two. My reasoning, as well as why I believe others voted for option number 2, is because during the process we would believe even more that we can too build a successful niche site and the fact that we might be mentored by you is a huge draw. This would eliminate most of the risk and maybe lowering some of the effort that is required by te student (research, problem solving, etc). Option number 2 is a different approach but will be the same result. You will take action and you or your student will make money. Some people will start their own sites but most will watch intently and think about starting their own niche sites but for me neither of the three options tackle the main reasons why most people don’t start niche sites. Because we are scared to take action, maybe to fail on the project, or maybe all the hard work that is required. Do you or any other readers feel the same and does anyone have any tips or techniques of how to overcome these hurdles because I feel your first niche site is a great resource on how to build a nice profitable site and the true reasons why some of the readers don’t start is not being addressed? I vote for option 3. Reason being is that I think we can all learn a lot more by interacting with you as you explain the steps you’rte doing, without seeing the end result first. Plus this should prevent your site being hacked, like the rest of us who develop sites anonymously and wait for results from Google. I think I’ve heard some mild objections here about the costs involved in developing a site, lie writing copy and linkbuilding. These are the steps we site developers would take with limited budgets. I think that knowing hos to do each step, clearly outlined and explained as you’ve done before, would be a huge benefit to us who are in the trenches trying to perfect our own techniques. I voted for option #2 because I know what may appear as an obvious step in a process turns out to be complex for others. Teaching someone the steps will flush that out. I’m surprised option #2 doesn’t have more votes, and that option #3 has any at all. I go for Option:2. I want to see how you build a new site since i am a newbie here so that we can learn a lot of new things here. I voted for Option 2, Spencer! I think you should do 2 and 3 together. Do your site concealed and teach a student. I think you should try to build a Fiverr site. Use Fiverr to build and rank a site from start to finish. I voted for #2 because of exactly what Spencer indicated, which is that a greenhorn, such as myself will ask the questions that so many with any experience at all will likely take for granted. 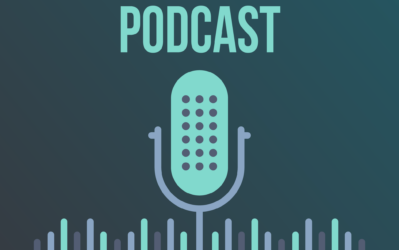 Case in point…..I have listened to podcast after podcast and it all makes since when listening, but every time I try to take action….I get stuck and need help. I want to do this so bad and prove to everyone I have told about niche websites that I can do this….I am just having such a hard time getting started….like trying to get a locomotive to move. Spencer, I know I am not the only one out there experiencing this so please go for #2….And I Would Be Honored to Be Your Student! I voted option 2. I love the niches site and I has been worked well with it with Amazon affiliate. If you share your konowlegde, the option 2 is the best for student. I will consider to join your class next time for learning more. I voted #1 because I’d love to see how you tackle CPA/affiliate offers. But Spencer, if I were you, I’d go for option #2. It has so much income potential. Look at the poll results. It’s obvious there’s a demand for personalized Niche Site training. It’s a great opportunity to improve your Long Tail Classroom course. What if your next release of Long Tail Classroom had a “premium” version which included personalized instruction from coaches? 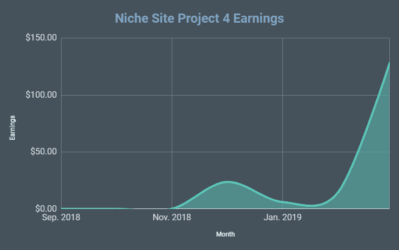 Option #2 is a great opportunity to figure out the best way to offer personalized niche site training and validate if it’s worth your time/effort. You can learn the ropes for yourself. When you want to scale up the # of students, you can then train others to coach new students. As others have said, screening your students and taking more than one is the way to go. I’d probably ask for a refundable application fee and take on 3-4 students to start. I voted for option 2 – teach a student. I don’t think you’d have trouble finding someone who wants to learn, and it would be great to show that building successful niche sites *can* be taught, it isn’t a magical innate skill some people are just blessed with. Defiantly want to see you monetize a niche site with something other than amazon or adsense it really opens a new revenue model which could lead to something quite interesting. Like to hear your opinion on building a network of niche sites. There are so many tutorials out there at the moment on Niche sites but havent seen many talk about building a nice network that combined to make a nice tidy sum. The idea of building 100s a site sound easy but in reality is a quite difficult that I found. Especially from a SEO perspective. Hi Spencer! I voted for option 2. I think it’s a great way to take a newbie and walk them through it. It would do so much for the “you can do it too” philosophy. I’m new to this myself in picking a niche, but also something I’m passionate about. I’m not sure what may come of it – but I learn something everyday from your site. It’s become a resource I reference almost daily!. I’d be interested in maybe seeing a few different students of different backgrounds and niche ideas to see how they all may follow similar steps but with different results etc. Some may succeed and some may fail depending on what they put into it. Whatever wins – I’m looking forward to it! I voted for number 2. It would be really great to see this done by someone who is like the majority of us – dreamers, who would like to be able to do what you have done. Be sure to find my application in the inbox, when the time comes. So, I’m pretty torn. Can I vote twice and essentially cancel out my vote? I voted Option 2. Who doesn’t love watching the newb gain success? I’d put down a “deposit” easy to prove my accountability. Then I thought, really, I’d learn just the same info if you did it yourself. Someone else mentioned they wouldn’t spend the $200 on the layered links, hence showing us manual building example would be a great idea. Hence, if we saw something like this – option 1 would be a great one. Still torn. Who wouldn’t want a chance at having a mentor? As a few others have pointed out, if you do go ahead with option #2 it’d be better to keep the project under wraps for the first couple of weeks. I too would like to see backlinks being built manually and organically, but perhaps that will take a long time to accomplish and I suppose the focus is on keyword research anyway! I voted for option 2. To me that seems to be the best choice. I think whatching someone learn would be very helpful for many of us. Thanks for all the great info you provide! It has to be option 2 for me. Pick me !!! Totally option 2. Not only readers will learn but you will also give someone (assuming that this person does need help) a helping hand. Hi Spencer, I voted for version 2. I followed your blog and build my niche site exactly as you described, but have still so many questions. Lately Google hit me so hard I dropped from # 3 with my top keyword to # 58 (from 128 unique visitors/day to 5). I recover slowly, but I realised that theres is so much more involved. If option 2 wins – how can I apply? Thanks for sharing your knowledge with everybody. Option 2 : tutor a person. Either way, will subscribe to the process. 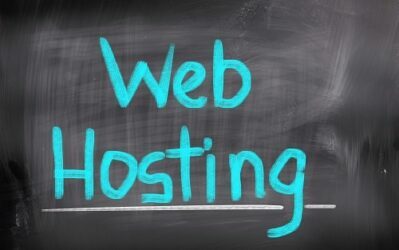 If you choose for 1 or 3, I think it would be very interesting to start a site with a small budget. Say like you can only invest $250 (or something else) for the niche site and see how far you can go. I think it’s easier to rank a site with a big budget and make use of good linkbuilders/text writers. Nummer 2 with a tweak. Add to that 2 or 3 who are going in the right direction but needs the guidance to make it a success. This way if one person fails you are covered. Oh and how do I get my picture on here? Gravatar.com (used for ANY wordpress blog). Spencer I was torn between option 1 & 2. I voted for #1 but would love to see you teach someone else (who would stick it thru) The idea mentioned about a few students was intriguing…. Looking forward to watching whatever you decide to go with! 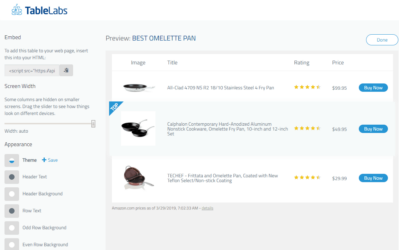 6) Added amazon affiliate links and adwords…. Sounds good right? Not really…I am not generating any income and I know I am missing things. There are nuances to everything. When I explain my job I know I miss steps because it’s like breathing to me and I take for granted things that I perceive as ‘simple’. I guarantee that a student will ask you to explain things you think are obvious and probably miss. Recorded skype sessions would be crazy cool and articles written from both the student and teacher perspective would round it out nicely. Option #2 would be a complete disaster. People are already learning by following the awesome case studies your provide Spencer. There’s no need for a “3rd party” to be involved. Option #1 is simple and less of a hassle. The people stubborn on #2 are simply sucking up to be selected, lol. I guarantee that a student will ask you to explain things you think are obvious and probably miss. May I suggest a fourth option? Maybe everyone interested could pitch in somehow to get their hands dirty, doing link building, writing, keyword research. A crowdsourced site. I’d rather do it as a group, or watch you do one again (I voted for option 1), than watch a student. The student may not do things as well as you do, so we’d get less out of it. Or they may simply follow what you say and it would like 1 but with a distraction. Plus, having one student write ALL that content is asking a lot, and would take far longer than the first site. Unless the student is a professional writer, the articles might not come out that well. I guess one compromise could be picking a student AND having more people pitch in, to help the student and make it go faster. I do feel you do a great job of answering questions that come up (another reason I voted for 1). Demonstrating link building would be a great help. I can see the theory of a crowd sourced site but not sure it would work in the real world. There would be too much going on such as lots of people link building etc to know what the influencing factors were. Also what would it prove as it’s unlikely any of us are going to go on to make a business from crowd sourcing sites. A “crowdsourced” option would indeed be interesting…thanks for the idea…I’ll think about it. How about running option 1 and 2 together. Not sure logistically if you have the time? But if you do I think both case studies have their merits and running them at the same time would demonstrate different things. I voted for number 1, but I feel that the third option could work too. I think number 2 would ultimately fail in the end like you said because of someone dropping out or not having enough motivation to keep going. Explaining the process of how you build your site is a great idea and could help out others in the long run. (especially those of us just starting out). Definitely for option 2. And I will be glad to be that student. I voted for option #2. I would like to see you walk someone else through this method. it would show that what you do is repeatable. Also you and the student could go over questions posted in the comments regarding the site and the strategy used. the student may be able to explain things from another angle and that could help your audience as well. I voted for #2. I think it will be more applicable to learn and gain following an expert leading a student. Watching someone like me doing it will motivate a little bit more than the other options. #2 for sure. I’ve been on this site for 5 mins and I’m already trying to think of a good niche website…except I wouldn’t really know how. So again, option 2 is my vote! I voted for #2. And for me it is obvious why I did so. I’d give anything to be the “student”! I’ve been thoroughly studying the business for a couple of months now, and I think it’s time I get my hands dirty! And to do it with your support would be incredible! I vote for Option 1. No matter how many niche sites experiments you are going through, I’ll support you all the way. In fact, have you thought of selling these experimental sites after they’ve reached page 1 of google? “Teach a student to build a niche site” – has my vote! I would like the Option 1, and I guess I would have trouble to understand the audio you record as I’m not a native English speaker. Besides, I hope you can reveal more details about link building. I’d still like to see a drop-ship ecommerce niche site. I like the idea creating a new niche without revealing the domain name. I would definetly go with point 3 if you would do you it only for educational purpose and not for earning a lot of money from that. Yes, there are risks that somebody like me to copy your website, but it will be only one of your students and if he gets better I think you should BE PROUD. Straight from the guy who copied Spencer’s website…..nice one Paul! I love the first option. Of course it is done while putting out the desire of others to copy what yours is unethical. Thank you. Just started reading the blog posts for this project, one article a day, and excited to see what is the future for this and to learn a thing or two. Following the success of your previous niche project I would anticipate this to be more successful.